DID YOU KNOW: The average man needs about 2000 to 3000 calories per day. A woman needs about 1600 to 2400 calories. Click Here to use our [free] TDEE Calculator. Find out exactly how many calories you burn each day! To gain any weight, you need to exceed that amount, probably to the tune of 500 calories per day. Each meal should contain at least one carb, a protein source and a veggie of some kind. On days that you workout, make sure to get in enough good carbs to help build muscle. Rice contains many essential vitamins, such as thiamin and niacin. It’s easy and quick to prepare, particularly if you have a rice maker. Meal tip: a rice and bean burrito is an energy packed, protein rich, healthy and delicious way to enjoy this grain. Another key advantage to granola is it’s quite healthy. As long as it’s not too sugar filled (and some types really are), you can eat it all day long. Add a bowl or bar several times a day, and you’ll see some healthy weight gain happening in no time. 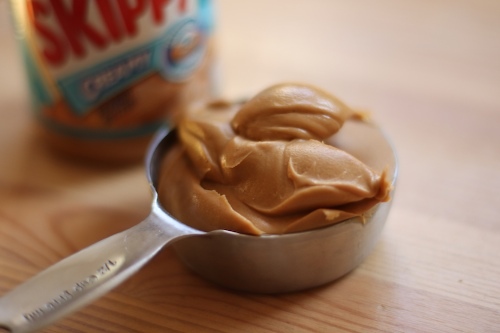 You’ll find peanut butter on a lot of these lists, and it’s there for good reason. There are 90 calories, 4 grams of protein and 3 grams of carbohydrates in a tablespoon, and it’s not hard to love. It does contain a bit of saturated fat, so don’t go too crazy on this one, but it’s a healthy weight gain food to add to your routine. Peanut butter also happens to go really well with the next item on this list. Bananas have the benefit of being affordable, convenient and really tasty! The average banana is a great food for putting on weight because it has about 100 calories. Bananas also have some fibre and a good helping of potassium, an essential vitamin in your diet. Because it’s a fish, tuna is an extremely healthy protein that contains many of the essential oils that your body needs to operate smoothly. Tuna is also really easy to prepare (if you go canned), and it works in a lot of different dishes, so it’s an easy addition to your meal plans. Have you tried seared tuna steak before? It’s amazingly delicious! Tuna is a healthy and inexpensive food for gaining weight quickly, it’s a very good protein source, and I recommend adding more to your diet. A tall glass of milk is just about one of the most convenient sources of quick energy. A glass of whole milk contains nearly 150 calories, as well as 8 grams of protein! It’s such an easy thing to add to your diet, it’s a no brainer. If you’re lactose intolerant, soy or almond milk make a fantastic alternative. Soy is almost as energy dense with 130 calories per glass, and about equal in the protein department. Both milk and soy milk contain a bit of fat, but that’s not a bad thing at all. Would I recommend drinking gallons per day? No, but a couple of glasses will certainly make a big difference. The avocado provides a shocking amount of calories and fats to your diet, making it a dieter’s nightmare and a skinny person’s best friend. It’s odd to think of a fruit like this being good for weight gain, but it’s surprisingly energy packed. Since writing this article avocados have gotten a bit more expensive, but they’re still one of the most energy rich fruits on the planet. I like to add avocado to a salad to give it a bit more energy density, or use it as a spread on a sandwich if it’s a bit on the riper side. They make any smoothie incredibly rich and creamy. Maybe you’ve seen the Rocky movies where he’s chugging raw eggs as part of his workout. Let’s be clear, that’s not what I have in mind! Eggs are super nutritional, and there’s a reason that they’re a popular breakfast food: they provide your body with essential energy and nutrients to get through the day. Eggs are a great and healthy food for gaining mass because they’re inexpensive, readily available, and they give you a ton of cooking options so it doesn’t get stale. One egg has about 75 calories, along with 5 grams of fat and about 6 grams of protein, as well as essentials like vitamin B-12. Nuts have one of the highest amounts of energy for their weight of any kind of food, and they’re certainly one of the healthiest of the calorie dense food groups out there. 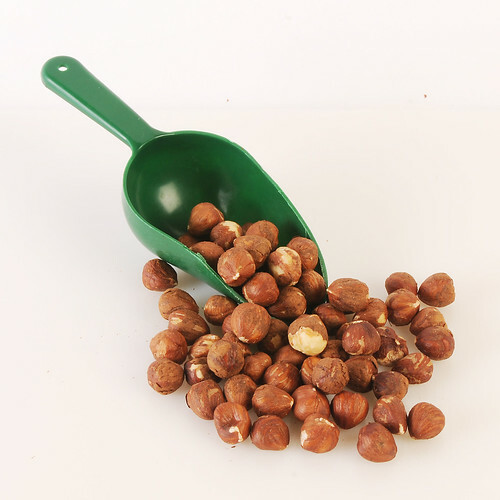 A 100 gram serving of macadamia nuts, for example, has over 700 calories! They’re a healthy snack rich in calcium and fibre. They’re an extremely great food choice for gaining weight quickly because they’re easy to pack and delicious. The downside? They tend to be expensive, and they have a high fat content. 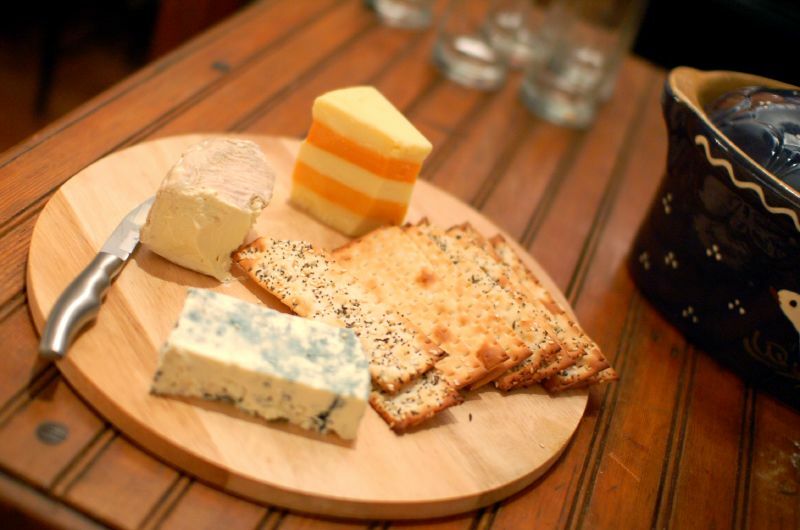 11) Cheese: What would life be without it? Like all other fatty foods, it’s definitely something to enjoy with a bit of moderation. Cheddar cheese, for example, has 400 calories in a 100 gram serving, and that includes 100% of your daily recommended intake of saturated fat; fantastic energy density per serving, but not the best thing to binge on! Real, unprocessed food is always the best choice, in my opinion. However, a supplement gives you some flexibility. First, it allows you to eat on the go. If you don’t have time for a full breakfast, you can just mix a quick shake. Mass gainers tend to have a high caloric content, loads of protein, and even vitamins and minerals to boost your weight. They (usually) mix really easily, and some of them actually taste pretty good. Note: I don’t advise using a gainer as a standalone meal replacement, because it’s not. It’s meant to reinforce your calorie intake and help fill in the gaps between meals. Here’s an article I wrote listing a few awesome mass gainer supplements that can help fill in the gaps alongside the foods listed above. Nice blog but can you provide a detailed plan .. I mean a schedule what to eat and when to gain fat and weight too. Hi Komal, I could, but everyone is different. Some are vegetarian, some have allergies, and some people prefer different foods. The best option for you is to meet with a nutritionist and work out a personal meal plan. Then will you please add different type of shedules for pure vegetarian and others..
Hey Dennis! I think you have to go to a physician for health checkup. And ask him for suggestion of your diet. Yet I m not tried but I will start ur diet food and it is suitable according to my convenience....when I will feel better then...wll reply u! thanks, your list looks good will try it. want to gain, i am quiet skinny and have tried food supplements but not working. Totally! But cheap for whom? There's only 4 on your list i actually like & of those there's only 2 i consider affordable where i am =( *Sigh* ...yet every suggestion helps - thanks! Very interested and helpful. But some types of food re not available in our country. How to get them? great job guys!..i tried the avocados, i gained 4kgs in 2 weeks..a whole avocado a day..plus day snacks will also come in handy. Nice article. now watch me gain weight here in Mombasa , Kenya coz most of these foods are readily available. I just did a 11 day stretch in the hospital with pneumonia. I lost quite a bit of weight. Glad I found your list. A lot of these things I like to eat already. Especially eggs, cheese, and dark chocolate. Thanks, I will be trying this! Seems like a great guide to me. great site.... great list of foods as other sites like you to loose weight for some reason..! I used to weigh 58 but am now weighing 54. Will definitely try that and see if they will be any change. Thank you.